Merbok Umno delegate, a former investment banker, says he cannot sleep soundly thinking of the failed business model of 1MDB. Getting straight to the point and condemning 1Malaysia Development Berhad (1MDB) as a failed business model, a Merbok Umno delegate has questioned how the company could have allowed itself to drown in RM42 billion of debts. Taking to the microphone calmly enough at his division’s annual meeting recently, the delegate said he wanted to get “straight to the point,” before criticising the implementation of the Goods and Services Tax (GST) then raising his voice a notch when he started on the subject of 1MBD. He also took issue with how the company handled the purchase of power producers. “1MDB’s motives were good enough, honourable. The way they took away the ownership of power production from the Chinese and Indians and placed it in the hands of the Malays. That was good. I support the move 100 per cent. “But the implementation was bad. We (1MDB) had a capital of RM1 million. “We borrowed RM42 billion. It is a big sum of money. What kind of business is this? It’s a failed business model,” he said, adding that the purchases had resulted in 1MDB inheriting a RM6 billion debt. He was particularly peeved that the contracts of two of the power producers would have expired next year, and wondered why the purchase by 1MDB was not delayed so a fairer price could have been negotiated, to which he received claps of approval from the crowd. “This is why I can’t sleep soundly. I just cannot sleep. Every time I think about it, I get so angry,” he said, clearly agitated. He also took issue with 1MDB’s sale of land to Tabung Haji and Affin Bank at “market price” despite the company purchasing it from the government for a song. He went on to list all of 1MDB’s other deals and said the one that incensed him particularly was the deal made with Goldman Sachs, who he accused of destroying Greece’s economy and which he said 1MBD paid an unusually big commission to. An investment banker himself for 24 years, he asked, “Are we not sensitive to these things? If we don’t have money, don’t borrow,” he said, because the debt was way too high to repay. “I am not convinced with Kanda’s (Arul Kandasamy) explanations. He’s new,” he said of 1MDB’s chief. 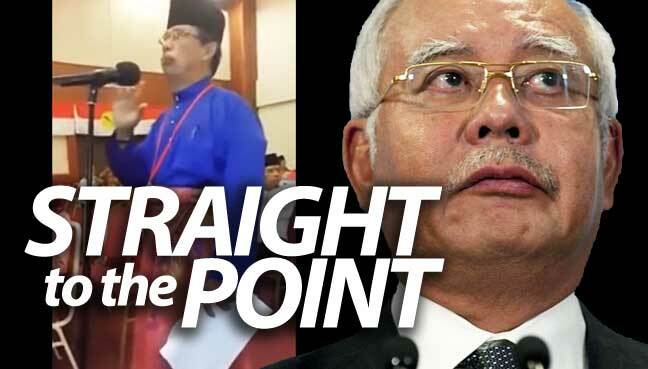 He also said that Prime Minister Najib Razak must set-up a Royal Commission of Inquiry immediately since the investigations of the PAC had been disrupted when he pulled out four of its members to be ministers and deputy ministers in his Cabinet. He also said it was not right for the government to get angry with those who criticised them.